Has your Google Home ever woken you up in the middle of the night? You can prevent that by enabling night mode. It turns out that Apple’s smart speaker can stain wooden furniture. Giving us another reason not to buy a HomePod. Smart home devices are quickly becoming mainstream. Does having smart gadgets installed make a difference when it comes time to sell? Here’s what we know. Learn how to set up your Chromecast Ultra with this comprehensive guide. With the HomePod being a brand new product from Apple, the company clearly thinks its customers may need a little help figuring out how to use it. The Apple HomePod is an amazing speaker that’s designed to work seamlessly with Apple Music and AirPlay, but it might not be for you. Interactive stories skillfully blend the classic choose-your-own-adventure genre with modern technology. And here are eight of the best you can play right now on your Amazon Echo. Gordon Ramsay is a celebrity chef who has made his name shouting and swearing at people. And you can now let him shout and swear at you for burning his porridge. Want to make this Valentine’s Day truly special for your significant other? Amazon Alexa is here to help you set the mood, dim the lights, and play the perfect song. Amazon Echo devices can now send text messages to anyone. Here’s how it works. These five simple smart home automations can transform your home office into a space that helps you focus, create, and stay productive! Nest may have defined the smart thermostat, but the Ecobee4 smart thermostat reigns supreme in almost every way. Don’t believe us? Take a look. Fitbit has announced that it will finally stop supporting Pebble smartwatches in June 2018. Still, Fitbit is offering Pebble owners a discount on the Fitbit Ionic. Just purchased a new iHome SmartMonitor? Here’s a step-by-step guide for everything you need to know to get it set up and working perfectly in your home! What Is Z-Wave and Is It Compatible With Your Smart Home? Z-wave compatibility is a popular feature in smart home technology, but what is it exactly? Why is it important? How does it work? We’ve got answers and more! Innovations in smart doorbells made an impression on us at CES 2018! Here’s what you need to know about the latest offerings from Blink, Zmodo, Vivint, and Ring. Hidden cameras are a guaranteed way to keep track of everything going on in your home. Here are some creative options that are almost impossible to spot! Building your smart home is an exciting time, with endless possibilities. But it’s important to be aware that while these gadgets sound cool, they aren’t what you want in your smart home! 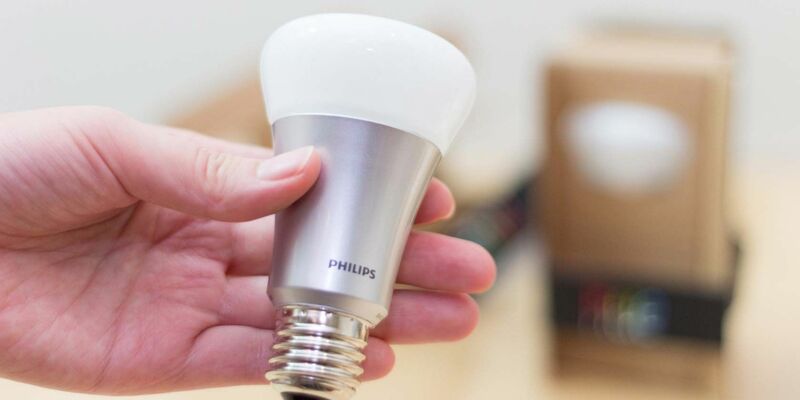 LIFX and Philips Hue are both giants in the smart lighting industry. So, which brand should you buy? The answer may be simpler than you think! TiVo just reminded everybody it’s still a thing by jumping in with the smart home crowd, adding support for Amazon Alexa, Google Assistant, and IFTTT. There are a lot of smart speakers out there, but the tiny black or white Amazon Echo Dot is the only smart speaker you’ll ever need.